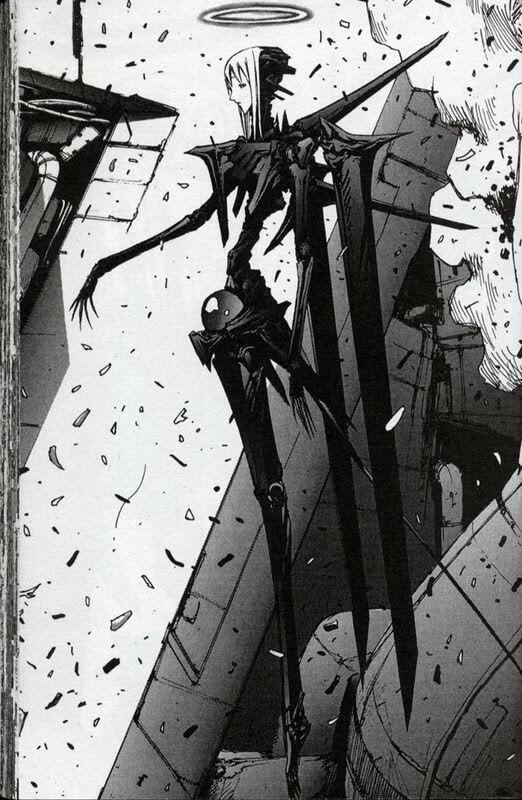 *SPOILERS* for the final logs of Blame, so be warned. Now, that got me thinking. If Chibo, a supposedly "saintly" figure (for she gives birth, after attaining this form, to the first human with NetGenes in eons) has a halo, could the Safeguard's symbol be a stylized inverted cross to show their dedition to sto her? Maybe (and hopefully) I am reading way too much into this, but does anyone know an answer?